This section provides you with interesting texts on English speaking countries, holidays, animals and sports. In the Literature area, you will find excerpts and easy versions of famous novels. And if you are interested in what is going on in the world, you can read English news in our Newsticker. In the Communication area, there is everything that you need for everyday business: structure of English business letter, wordlists and a generator for creating business letters easily. The Business-Info area provides you with tips on your career as well as strategies for marketing, negotiation, customer service etc. This section provides teachers with information on how to use ego4u material in class. For several topics on cultural studies, we have added notes that will help you plan your lesson. 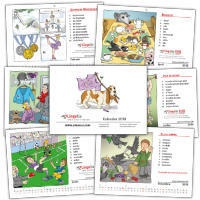 In the Lessons area, you will find printable material in PDF files. And if you want to get in touch with other teachers, use our Teacher’s Board. Learning English should be fun – so why not improve your English with our Games and Riddles? You can also send E-Cards to your friends or Chat with Egon. LingoPad is a free offline dictionary for Windows. It contains a German-English dictionary; other dictionaries (Spanish, French, Japanese, Chinese, Turkish, Norwegian, Esperanto) can be downloaded as well. 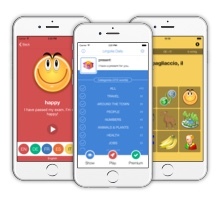 Our first ever Vocabulary-App is online! 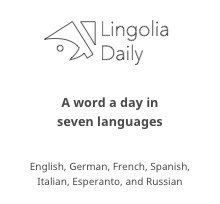 With Lingolia Daily you will have oodles of fun learning English, German, French, Spanish, Italian, Russian and Esperanto. In the Grammar and Vocabulary areas, you will find exercises, explanations and word lists. In the Writing area, we tell you how to write English texts and how to work with stylistic devices. Our study tips help you to learn English more effectively and with more fun. And if you want to do one exercise every day, try out the Daily English lessons.